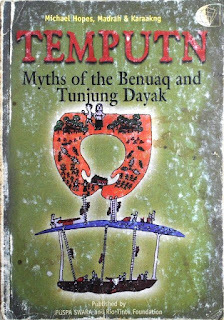 Temputin are myths that narrated in long ceremonies of healing anf for the dead by Benuaq and Tunjung Dayajs in East Kalimantan, Indonesia. These myths recount the origins of many things- of the earth and the heavens, the su , moon and stars and many kinds of spirits which inhabit the forests and streams, the places around the village and the far reaches of the skies. They also tell how human beings came to populate the earth and how the many species of animals and plants, both wild and domisticated, which were so important in the lives of the Dayaks, came to be.